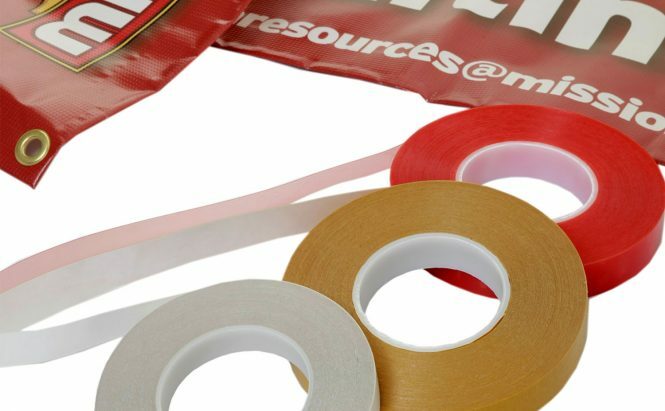 INDASOL 26895, 26913 & 26863 Adhesive Tapes – High Performance Acrylic Tapes ideal for Name Plating, close surface bonding and Banner Hemming. Particularly good on difficult surfaces. INDASOL UHB9120G – Grey Structural Acrylic Tape for instant bonding of Channel particularly good on powder coated and cold surfaces. Excellent structural strength with with fast, easy application. 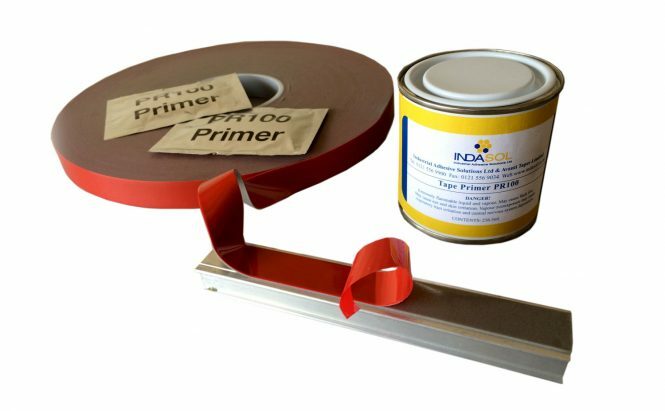 INDASOL 1293 – A double sided clear mounting tape with fabric carrier, bonds onto a wide range of surfaces and will peel clean from glass up to 3 years later without leaving residue. 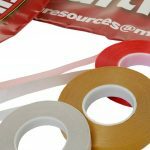 Scrim Tape – A 1mm thick, clear tape with cross weave scrim, extremely high initial grab onto most surfaces. Available in interior or exterior grades. 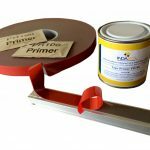 INDASOL 933 – High Performance 1.0mm thick Double Sided Foam Tape for non structural internal bonding. INDASOL 7080A – High Performance 0.8mm Double Sided Foam Tape for non structural external bonding.